Catering to the dental needs of kids requires a special touch. Pediatric dentists are specially trained to treat the oral health needs of children, from infancy through their teenage years. This involves in-depth knowledge about children's behavior, as well as their growth and development. 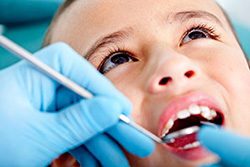 Pediatric dental offices are also designed to make kids feel comfortable and relaxed.